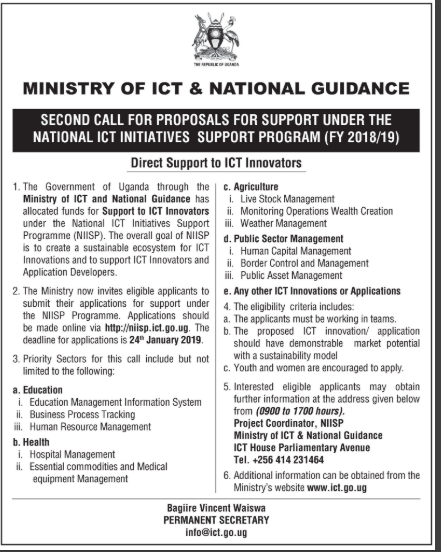 KAMPALA– ICT and National Guidance Ministry has allocated funds for Support to homegrown innovators. This will be done under the National ICT Initiatives Support Programme (NIISP) unveiled by government recently. The government also rolled out a multi-billion five-year project NIISP that is being implemented by the ICT ministry. 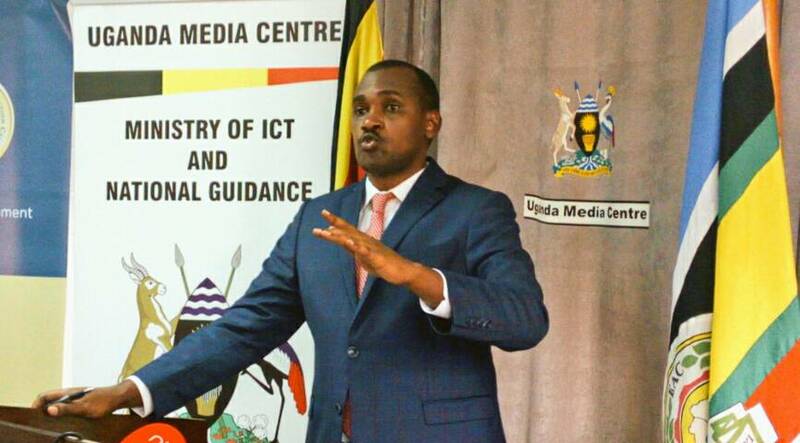 According to a statement issued by the ministry’s Permanent Secretary Vincent Waiswa Bagiire, interested applicants are advised to work on ICT solutions that are applicable in among other sectors health, education, agriculture, and public sector management. The proposed ICT innovation/application should have demonstrable market potential with a sustainability model,” the statement reads. 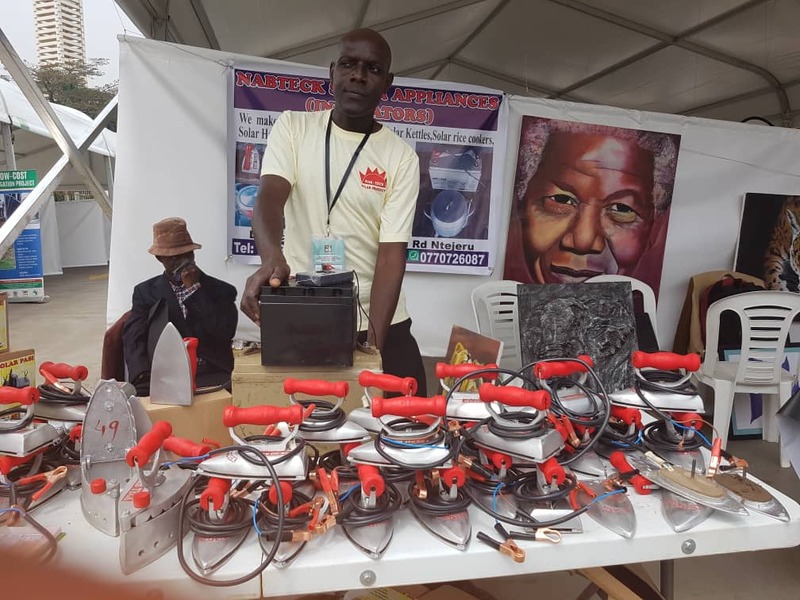 Parliament is also hosting the 2nd Science, Technology and Innovation exhibition week intended to identify innovations that require government interventions and funding. 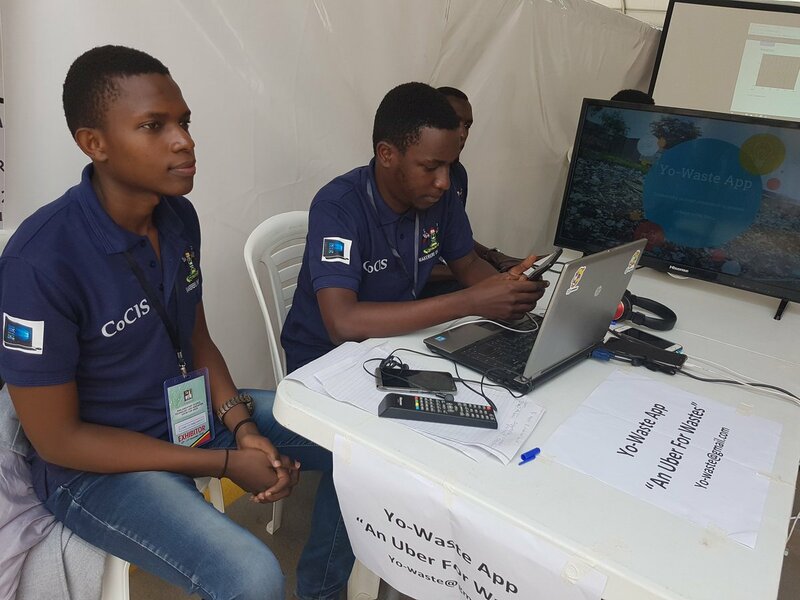 A team from the College of Computing and Information Sciences, Makerere University is exhibiting a range of Apps including the ‘Yo-Waste App’. The App, students say helps garbage collectors to locate households in need of Garbage collection services. 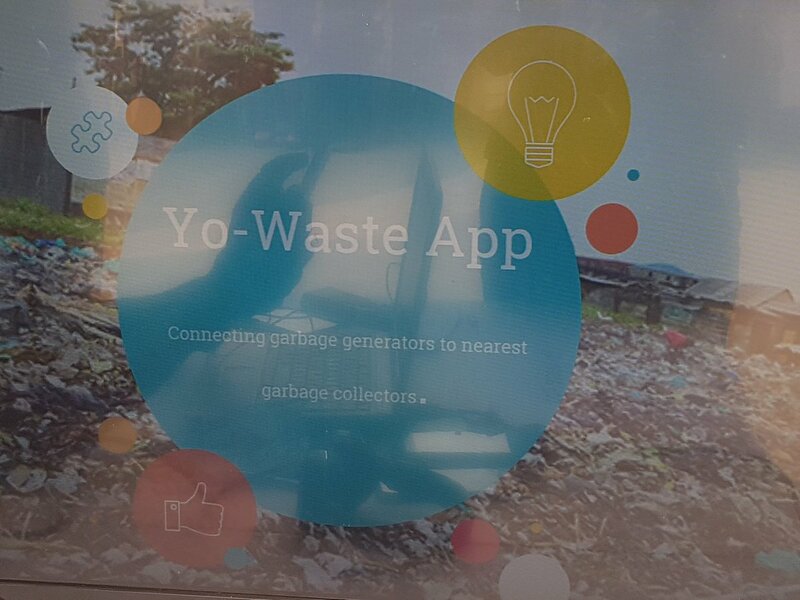 Makerere University students say the Yo-Waste App will help to ensure timely garbage collection. They note that sometimes households accumulate waste, days before the appointed collection date.